GENESIS one of the first projects in real estate in the world where its own project cryptocurrency GES. GENESIS is an international real estate fund and multi functional operating platform created on the basis of blockchain and digital technologies. All invested funds are used for buying of real estate that become the property of the platform and form its assets, creating the basis for the future development and increase of the market value of project. The innovative solutions realized in GENESIS provide the harmonic combination of classic methods of investments in real estate with the possibilities of the most progressive and modern achievements of digital economy. The commercial real estate (CRE) industry appears to take pride in keeping several aspects of its operations secret, such as comparable lease rental rates, property prices, and valuations, to create a possible competitive advantage. Blockchain technology—a digitized, distributed ledger that immutably records and shares information—could enable the CRE industry to address these inefficiencies and inaccuracies. In response to greater demand for transparency, technology advancements and the disinter mediation by startups are gradually making some of this information public. GENESIS try to make it easy accessible for all. GENESIS platform is the united corporate structure that combines all the main features and legal aspects of classic company and technological decentralized projects created on the basis of blockchain technologies. A clear and informative user interface with a system of private accounts will provide investors with all necessary information about the investment objects, interests and payments, transactions, the current market rate of assets and other information. GENESIS will allow to invest in traditional investment tools, such as real estate, in a simple and convenient way. At the same time, it will give to investors the access to use the developing distributed economy of digital opportunities such as blockchain and cryptocurrency. The concept of GENESIS provides the internal project tokenization (an accounting division to tokens) of all real estate, owned by company. One GES token will actually represent the part of value of all real estate, owned by GENESIS platform presented in cryptocurrency. The investors of GENESIS owning of GES tokens, indirectly become the owners of corresponding part of all real estate, owned by platform. 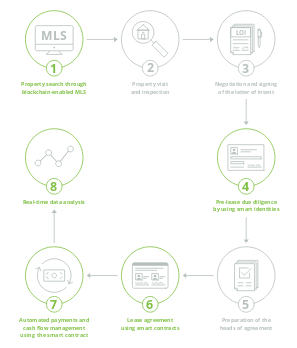 With the development of legislation, the tokenization of real estate will allow to identify the real estate assets through digital signatures and to legally register all members of GENESIS as the owners of real estate. GENESISplatform guarantees and provides such registration. 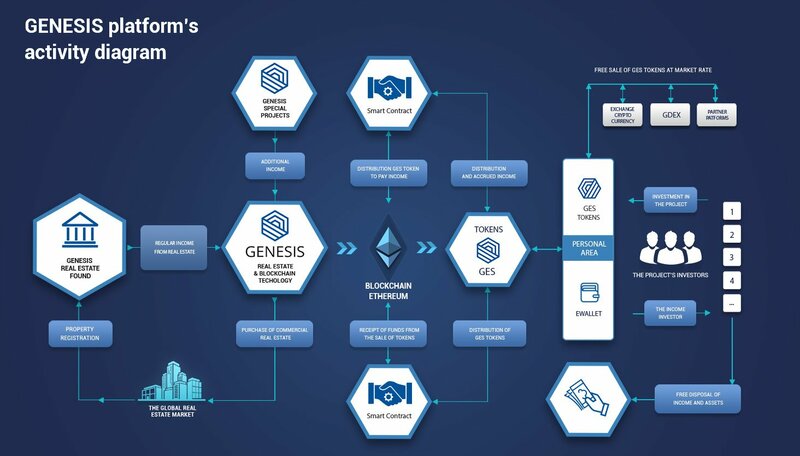 GENESIS one of the first projects in the world where its own project cryptocurrency, GES token, is guaranteed with real assets. And not just any assets, but the assets with the highest degree of safety: real estate. EachGES token is equivalent to one euro of the value of real estate that belongs to GENESIS. The value of real estate will be confirmed through an independent market assessment made by a first-rate European valuer company. The planed and phased system of releasing of GES tokens on market guaranteed by real estate owned by platform, eliminates the free circulation of unsecured tokens. The volatility of digital currency and possible collapses of digital currency can not influence to the rate of GEStokens, as its value is based on the value of real assets and stable positive economic indexes of GENESIS. The operation of GENESIS is done according to the rule of buying real estate based on pools. All real estate will be purchased by the GENESISplatform within preformed pools consisting of several properties. The initial investment pool will include retail and business real estate. All real estate included in the investment pool will be diversified by the purpose of properties (commercial, business and retail real estate) and by property location (by country). The first pool will consist of real estate located in different European countries. We expect that this approach will allow us to diversify investors’ commercial and economic risks and offer tp investors the maximum stable and risk-free profits.